Have you ever strolled through the Virginia Aquarium and noticed a colorful object floating in the seal exhibit, or snakeskin hanging in the Komodo dragon habitat? 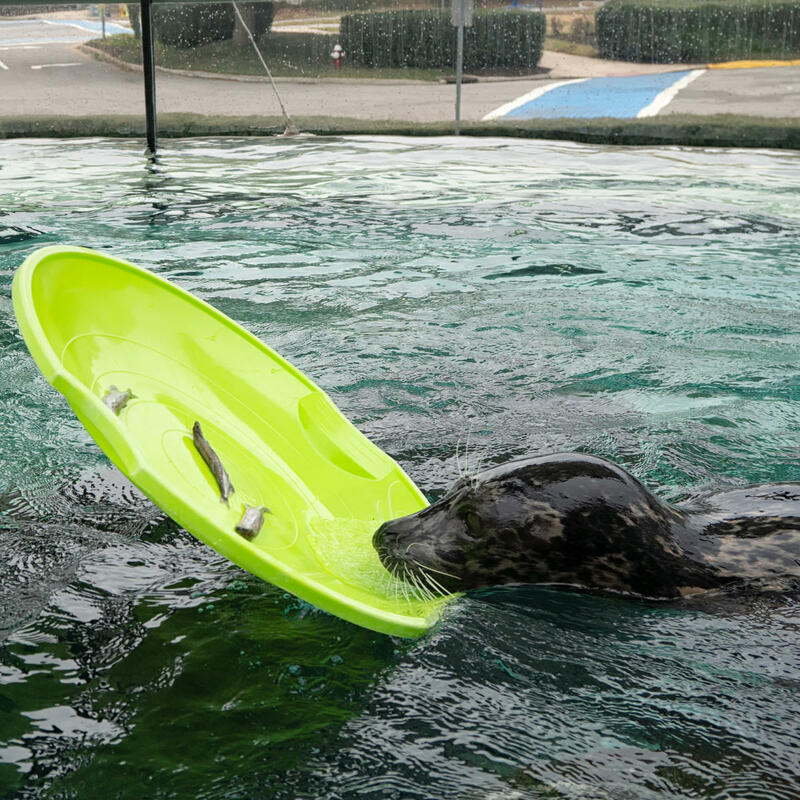 These are some examples of what we refer to as animal enrichment. 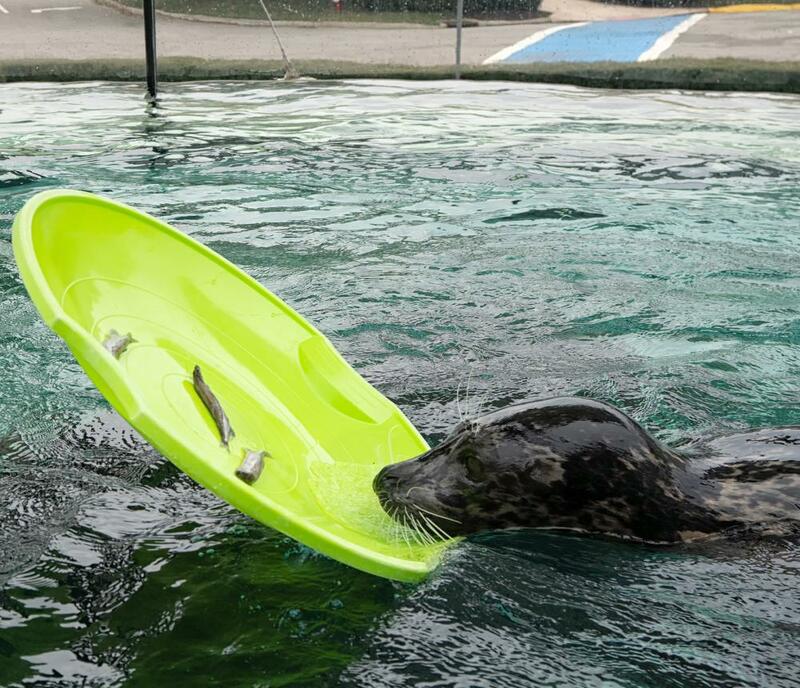 Animal enrichment is a crucial part of caring for animals in a zoo or aquarium environment, as it encourages them to express natural behaviors. The 4 main types of enrichment activities will be highlighted all throughout the aquarium. There will be a variety of training sessions, feedings, interesting objects, and live animal programs taking place.